Hornet Lite Bowfishing Kit | BUDK.com - Knives & Swords At The Lowest Prices! It's time to hit the water and get your line wet and start having some fun! 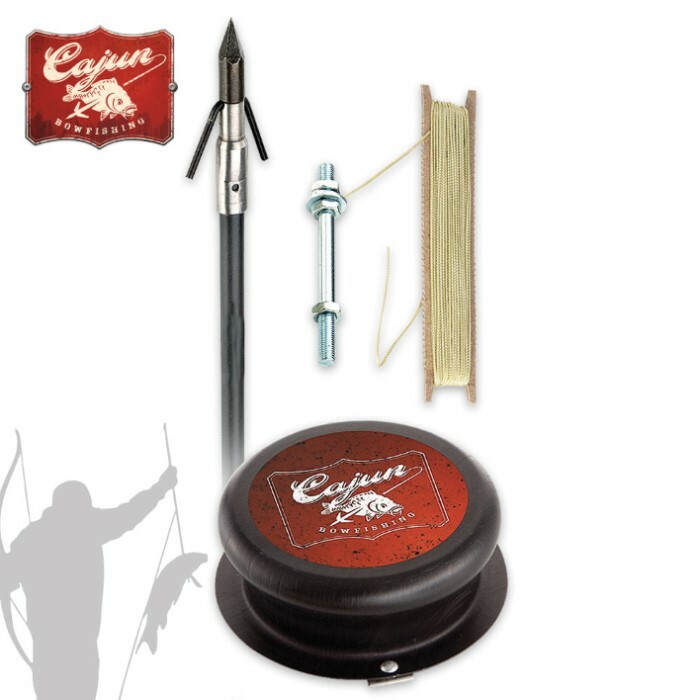 The Hornet Lite Bowfishing Kit will let you do just that. The Hornet Lite comes with the premium Cajun screw-on reel, which is an all-metal 5" diameter aluminum drum reel that mounts into the bow stabilizer bushing with a center bolt. It has 50 ft. of 80 lb. braided test line and comes with a 5/16” shaft arrow with the sharp Piranha point and a rubber slide. This is an excellent bowfishing choice for women and children, as well as, for shallow water fishing because it’s designed for lighter poundage and shorter draw bows.